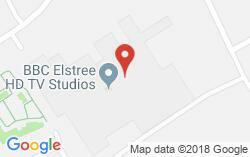 Sent a LOR and a SAE to Ricky Champ (who plays Stuart in the show) on 10 July using the EastEnders address in the database, received a signed cast card on 28 September. Sent: 10/7/2018 Received: 28/9/2018 Uploaded with ###://surfmypictures.com:surfmypictures It was weird that the envelope it came in was not marked or stamped at all. Made me wonder how it got back to me.